"I didn't think I liked apple fritters, but turns out I just don't like chunks of almost raw apple, surrounded by a doughnut. Maybe I've just been going to the wrong shops, but I've never enjoyed the texture, and always wanted to try them with cooked apples." Apples and pillow-soft, deep-fried dough perfection. I never make changes the first time out with a recipe. This one doesn't need changing. Turned out great. No changes needed... Another winner, Chef John!! The final batter came out too mushy so I had to add more flour. Taste wise, they were very good. loved it, turned out great. 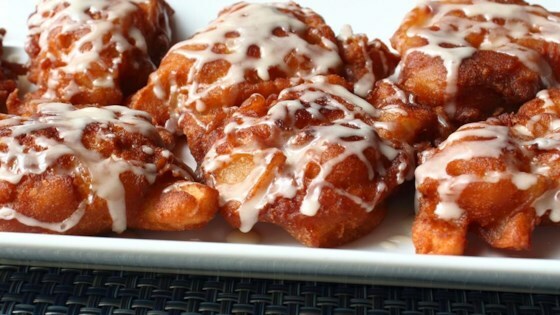 One of my client's asked me to make apple fritters and this recipe was simplicitly perfect.